Have you been waking up to bed bug bites? It’s a bummer, right? 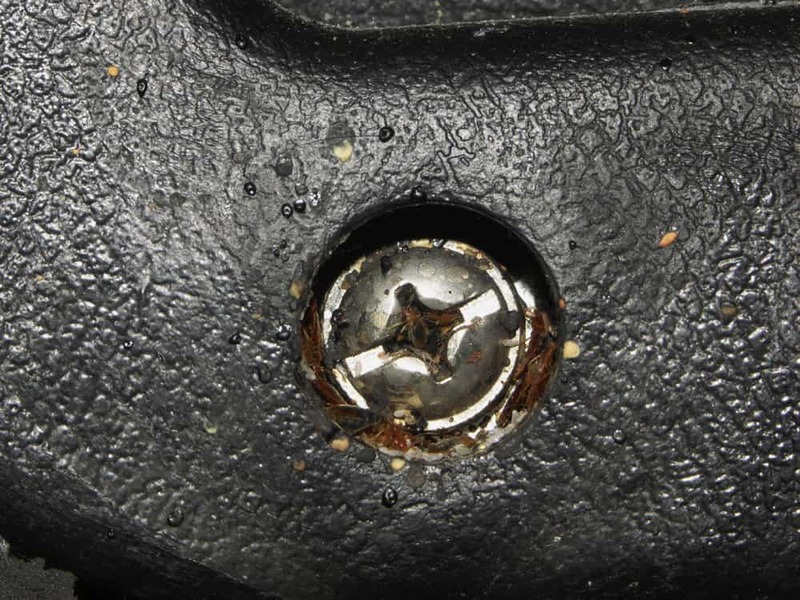 If you're currently dealing with these annoying pests, then you're probably looking for a reliable method of getting rid of them. And at some point you’ve likely asked yourself whether steam kills bed bugs. Although it usually takes a multifaceted approach to completely be rid of a colony, steam has proven to be one of the most effective treatments. I'm going to let you in on the research I've uncovered about how effective steam is at killing bed bugs, how steam treatment works, and what the best methods are for using it against bed bugs. I'll also give you a heads up about the risks of using steam to get rid of bed bugs. Let's delve into the facts about bed bugs and steam treatments. Will Steam Kill Bed Bugs? How Does Steam Kill Bed Bugs? What Are The Best Ways To Use Steam Against Bed Bugs? What Are The Risks Of Using Steam To Kill Bed Bugs? The short answer to this question is yes, steam is a successful heat treatment that kills bed bugs. There are, however, a few caveats to that answer. You can't just blast a shot of steam at an area and eradicate all the bed bugs located there. First, you have to keep steam heat on the area for an extended period of time if you're trying to reach deep pockets in fabric or carpet. Second, the steam works better at higher temperatures. That's why you need to use either a high-quality steamer, or a commercial one when using this method against bed bugs. A commercial steamer is different from clothing steamers and from carpet shampooers that utilize steam or heat. Neither of those gets as hot as a commercial steamer, and they do not get hot enough to destroy bed bugs. The bonus to using a steam treatment for getting rid of bed bugs is that it will also destroy the bed bug eggs, something that is difficult for many bed bug removal methods. This is why heat is great tool against bed bugs. It's not the steam exactly that kills the bed bugs. It's the heat. Steam just happens to be an especially effective way to transfer heat throughout large areas. You're going to want something that covers large spaces for treatment because bed bugs tend to take over multiple areas in a building as the colony grows and splits into several colonies. Additionally, other heat treating methods are less flexible that steam treating bed bugs. For instance, many people put clothes and bedding in the dryer, or seal affected items in a bag and put it in the sun. You can’t, however, do that with furniture and affected areas of your home. 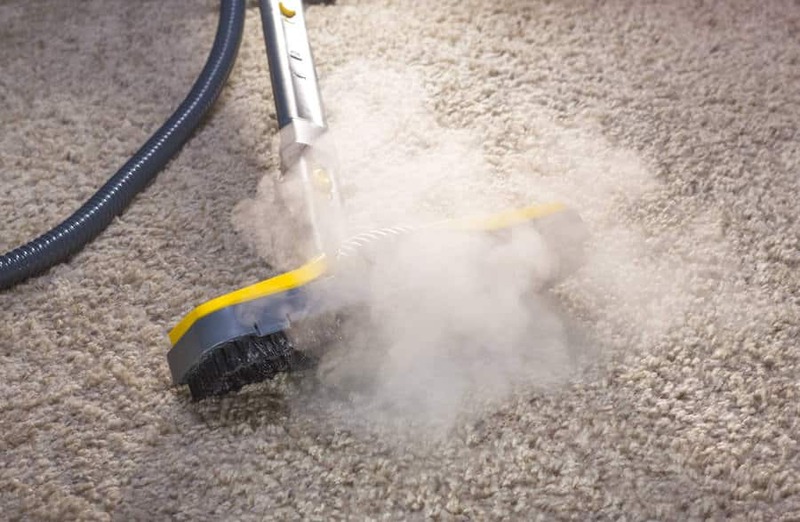 With steam, you can target specific areas with heat, such as around couches, beds, and mattresses. 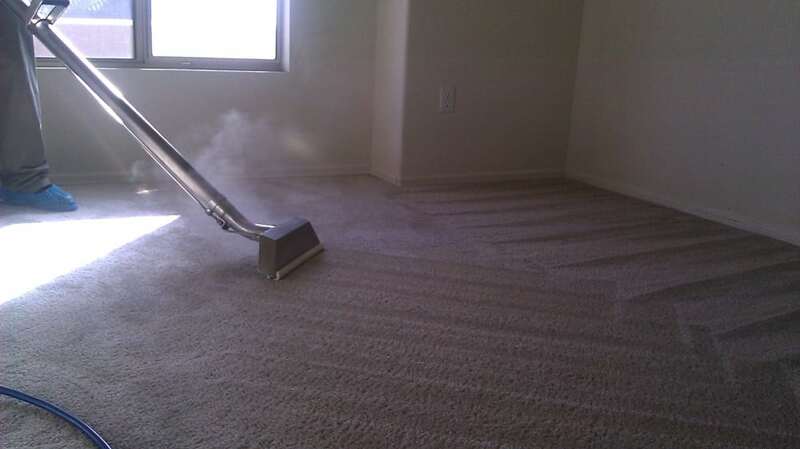 A steamer uses a steam brush that you move over surfaces. You’ll want to use a triangular shaped brush attachment that distributes the heat over an area. 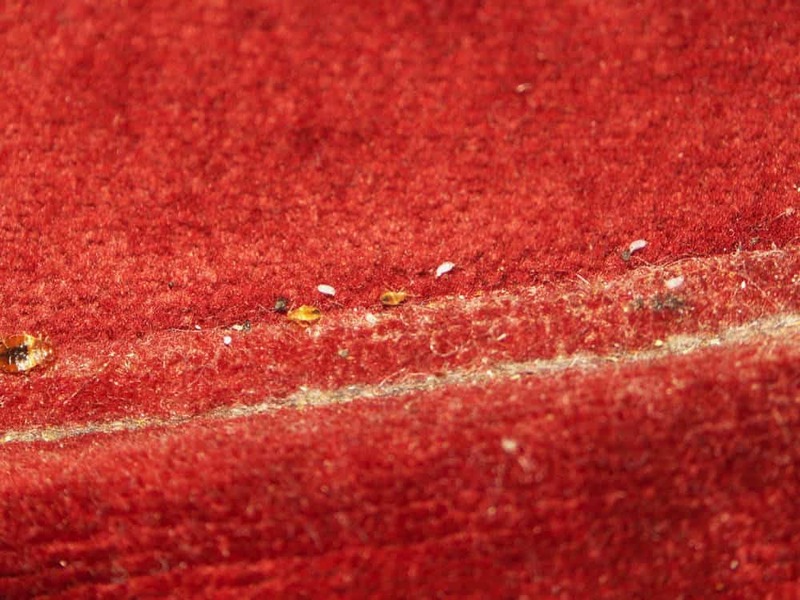 It is best at killing bed bugs near the surface of items and in shallow cracks and crevices. In order to destroy the bugs, the actual surface you are treating needs to get to more than 160 degrees Fahrenheit, at a minimum. 180 degrees is a safer bet and more likely to destroy the eggs, too. The surface does not need to remain at that temperature for a long period of time, which is a benefit of treating for bed bugs with a steamer. You don’t need to keep the steam trained on one spot for minutes at a time, just long enough to reach the necessary surface temperatures. 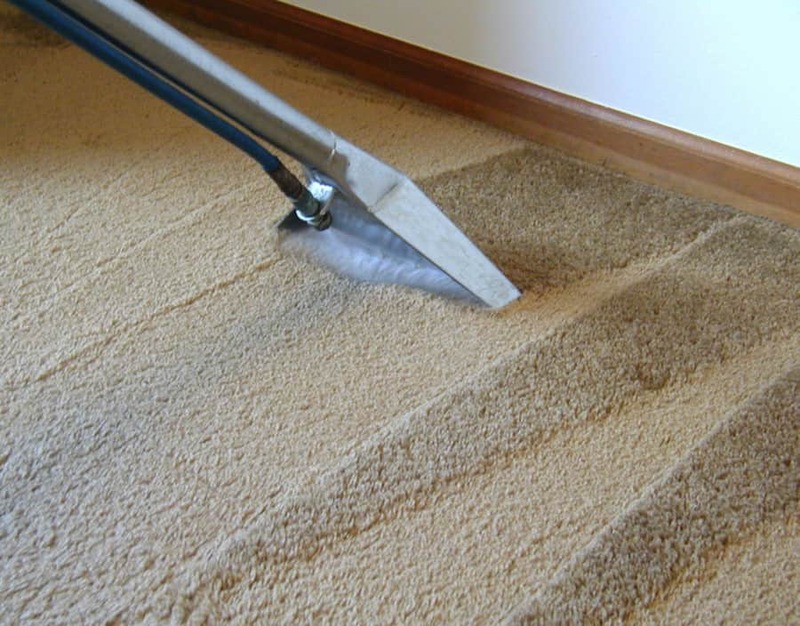 Treated surfaces will cool relatively quickly after you move the steamer brush. The steamer should have temperature control settings that allow you to adjust the heat. As mentioned, the surfaces you treat need to get up to at least 160 degrees F. What’s really important to understand is that in order to get a surface to that temperature, the steam has to be even hotter than that. In fact, it’s about 220 degrees. That’s really hot, and that means there is a risk of burning yourself while using a commercial steamer to get rid of bed bugs. Carefully follow the instructions that come with the steamer, and make sure children and pets are not in the room while you’re running the steamer. The steamer will have instructions for cooling the machine down after use. Make sure to follow these. It’s another good way to reduce the chance of injury from a steamer. You also want to check the temperature settings before you begin. Of course you want it to get hot enough to be effective, but you don’t want the steam to get so hot that it damages the surfaces you are treating. Additionally, watch out for how much moisture the machine is generating. Obviously it’s going to make furniture and other items a bit damp because steam comes from water evaporate, and when it hits room temperature surfaces, it will convert back to liquid water. You don’t want your items to be soaking wet and ruined from the moisture though. You should be able to adjust the amount of steam moisture leaving the machine. 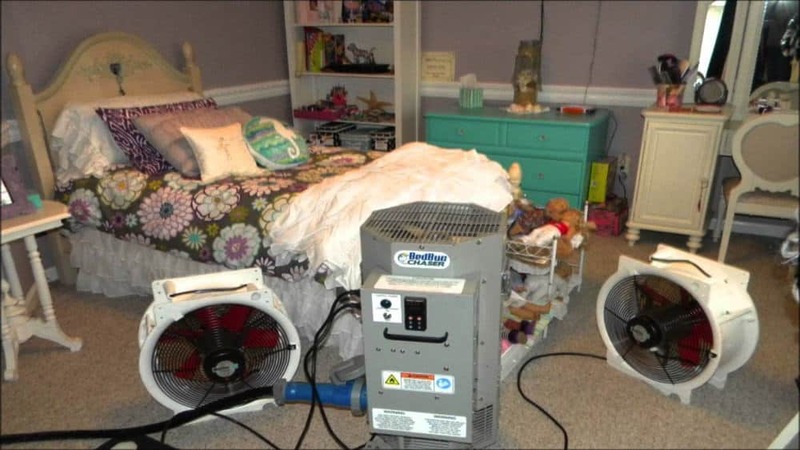 You can also run a fan in the room you treated, after steaming. This can speed up the drying of any damp items. You may want to test the steamer on a small area first to make sure it won’t damage your items. 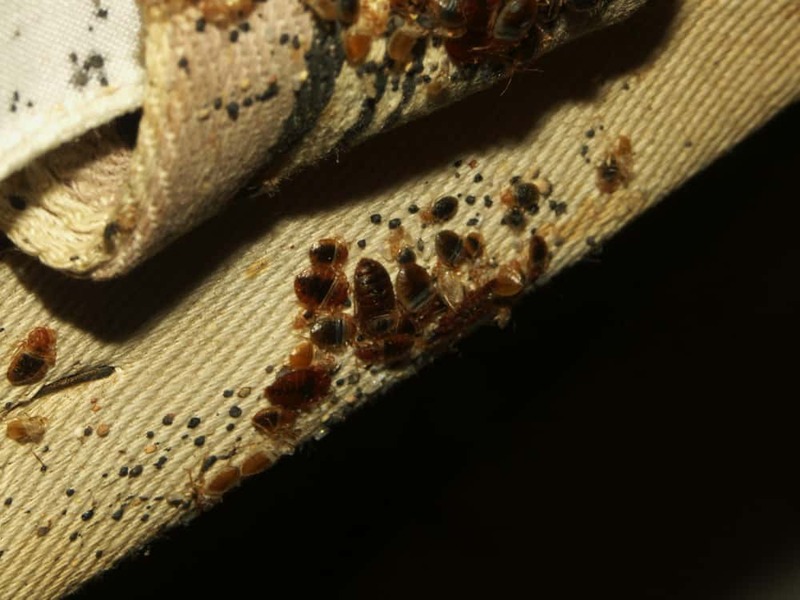 As with any bed bug treatment, there’s always the risk that you miss some of the pests and don’t get rid of them. To reduce this risk with steam treating, make sure you treat every area where you suspect bed bug hideouts, and repeat the treatment every few weeks. Any bed bugs that are not directly exposed to the heat will not be killed. Infested clothing can go in the washing machine and tumble dryer to kill bed bugs if you don't want to risk steaming your favorite items, although results can vary, and the eggs can survive this process. Now you know that the answer to whether steam kills bed bugs is yes. It’s an effective and flexible treatment that is mostly safe for people. The biggest risks of steam treatment are the possibility of skin burns and potentially damaged furniture or other possessions.